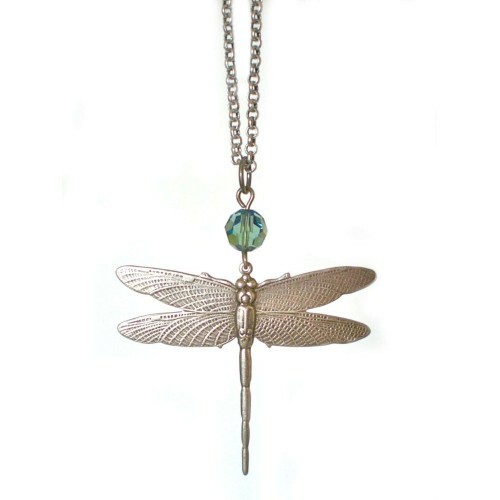 Dragonfly pendant with hand painted green patina for an antiqued effect and resin rose. 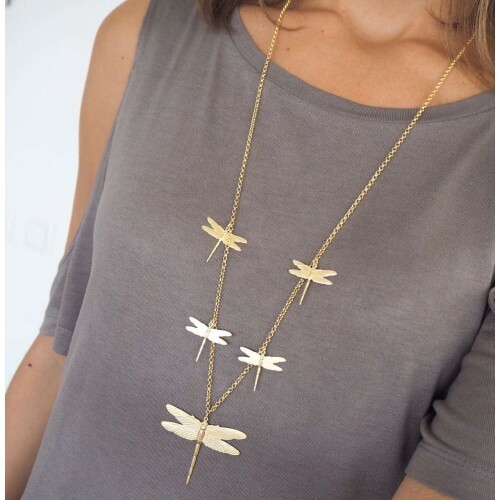 Goldplated chain. 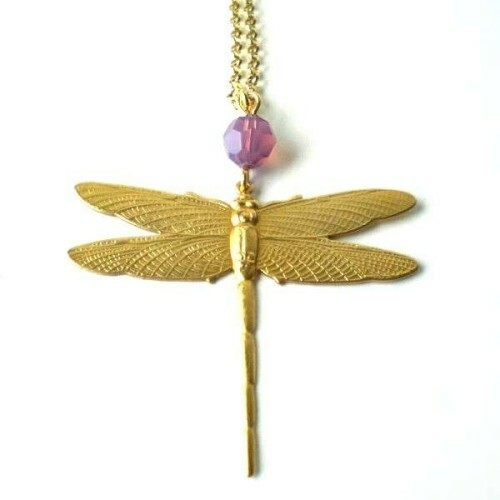 Dragonfly size: 6,5 x 5 cm. 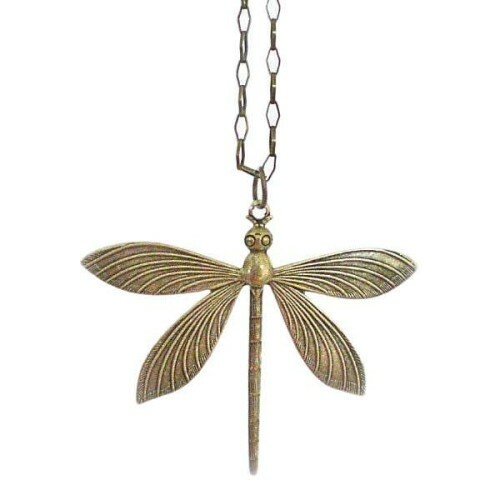 Chain length: 74 cm. 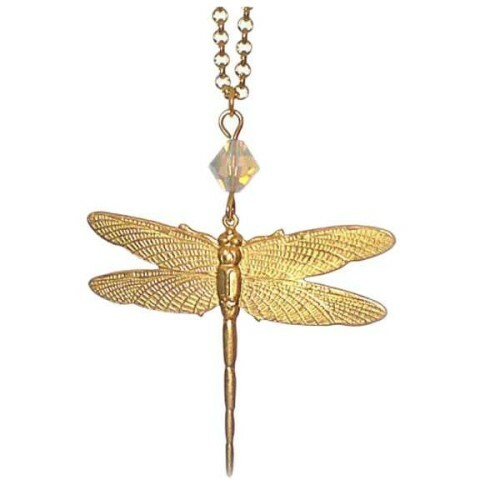 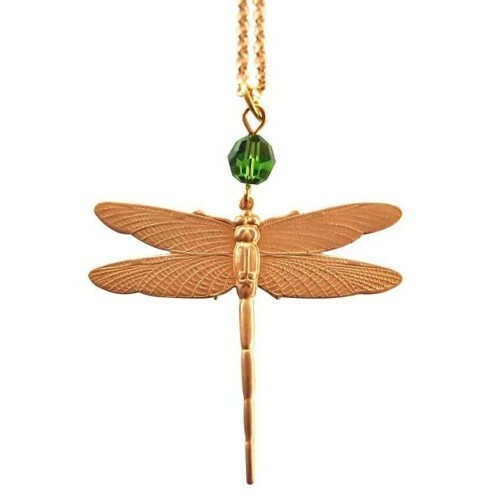 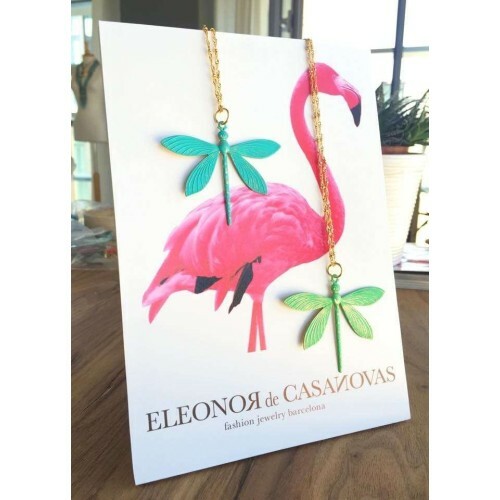 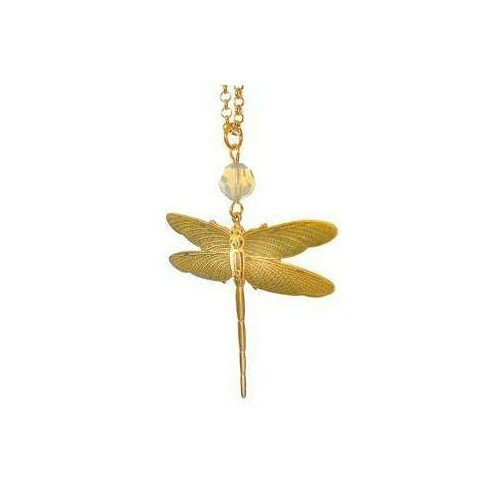 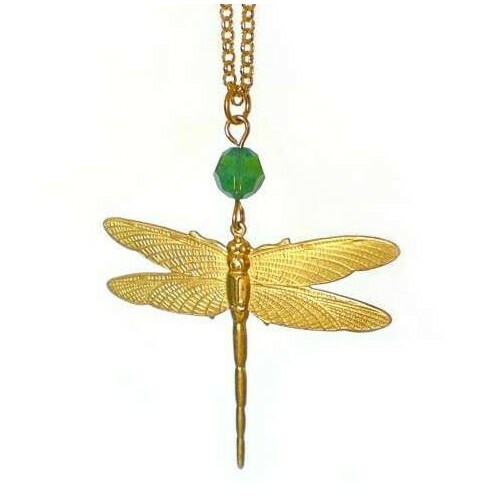 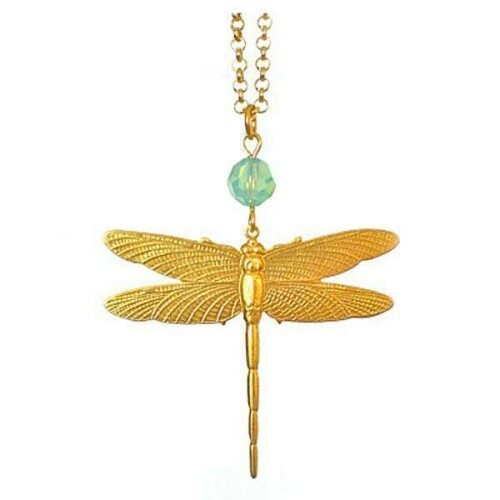 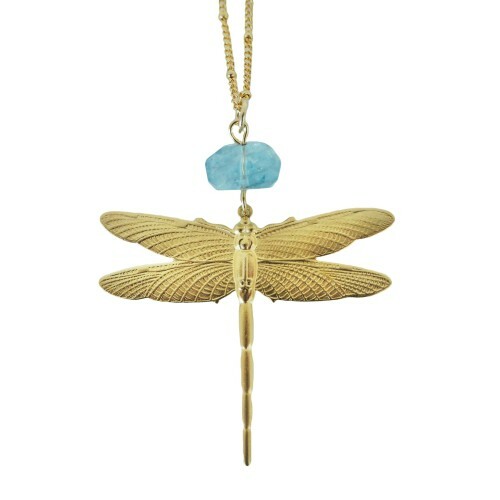 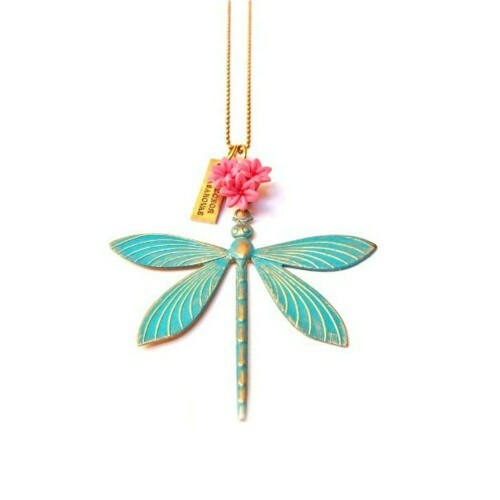 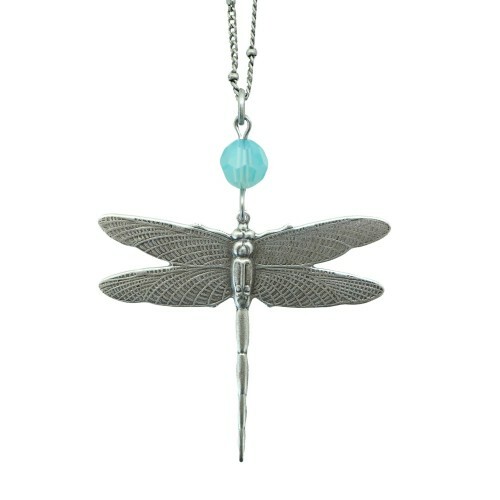 Beautiful Dragonfly pendant with Green or Turquoise patina and goldplated filigree chain. 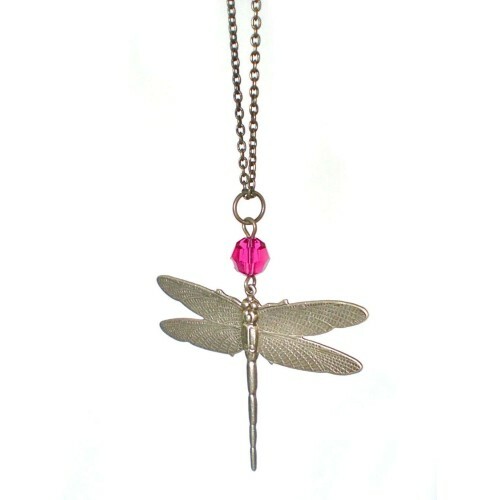 The chain length is approx 80 cms but please let us know if you would like a different length when you place the order. 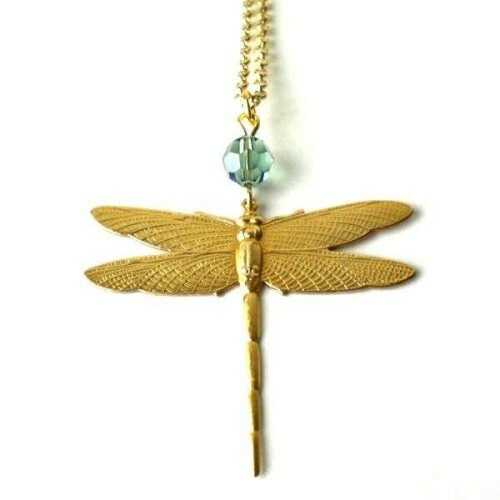 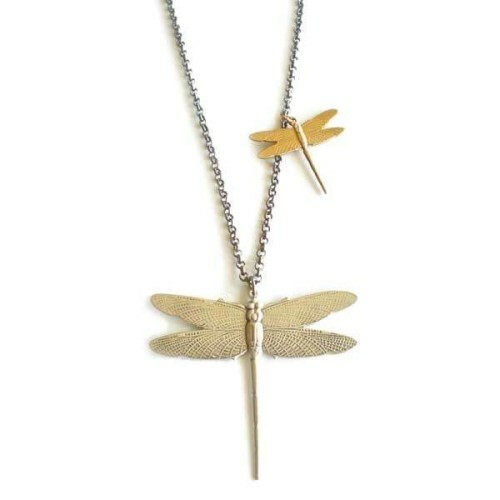 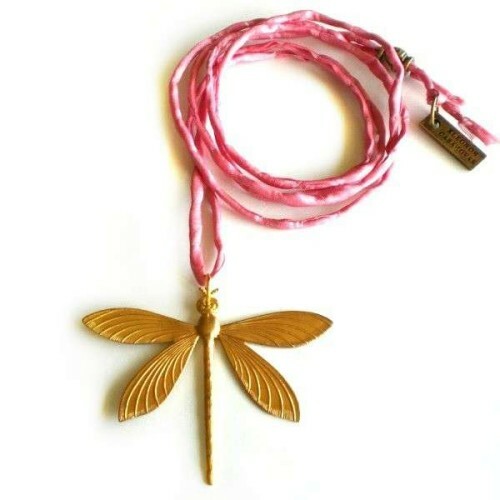 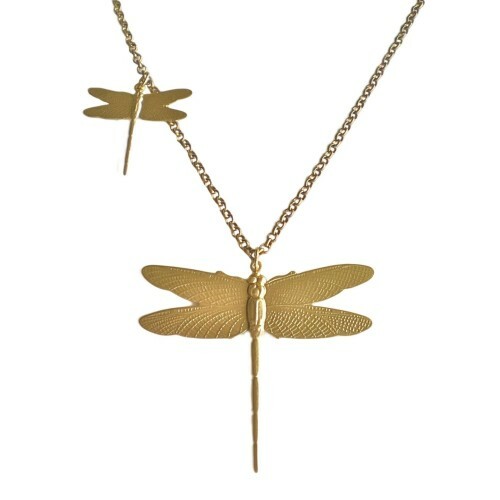 Dragonflies Necklace with four small dragonflies and one big dragonfly. 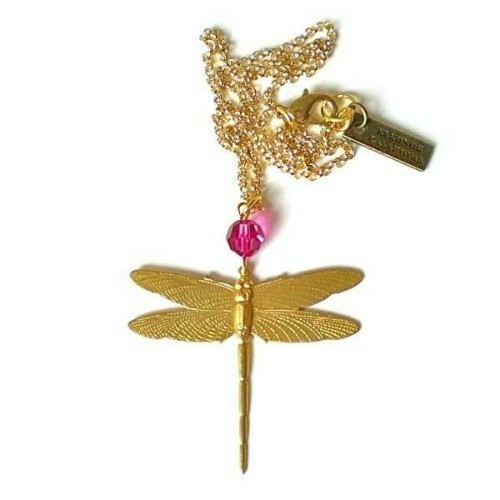 The length of the necklace is approx 85cms. 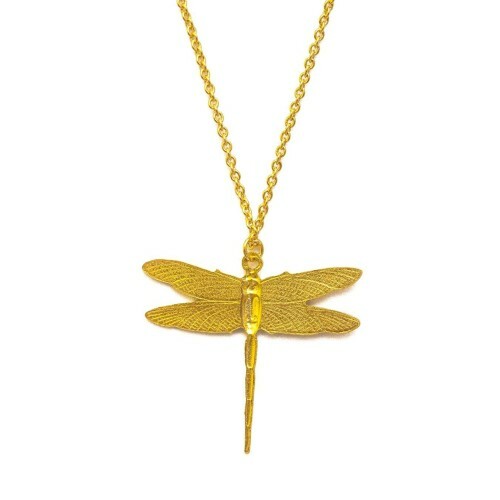 Goldplated 18 K.